5) Rock band from UK. 8) An NSBM project from the USA, formed by Werewolf SS. 1) Warlord is one of those little known bands who should have earned much more fame. Their first album "Deliver us" was published in the early '80s (1983) and it was enough, along with "And The Cannons Of Destruction Have Begun" that followed with only few more new songs, to make them a historical metal band of the early US power metal scene. The style is progressive, melodic heavy metal of exceptional inspiration and great musical talent. Standout tracks are "Winter Tears", "Child of the Damned", "Black Mass", and the monumental "Lucifer's Hammer". The vocals are very melodic which contrasts with the heavy rythym and guitar riffs. Guitar playing is very solid with technical solos. Songs are well constructed and carry a deep, strong feeling. It is a shame that they never really got the attention that they deserved. Nevertheless, their drummer, Thunder Child, made a great career-he is actually, Mark Zonder of Fates Warning. Metal fans who appreciate epic and early power scene should not miss them! 2) Warlord came along in the mid to late 90's and only had two releases on Solid State Records. The first was a self titled EP containing four songs released in 1997. The second was titled Rock The Foe Hammer and was released in 1999. They broke up shortly after the second release. Their musical style has been labeled as "doomcore". 3) Warlord is a Finnish chiptune/demoscene/metalscene artist Warlord (1997->). 4) Warlord were active in the 1970's. They were from the UK, and they played heavy doom metal with progressive and psychedelic elements. Their only official release is a self-titled compilation album from 2002. 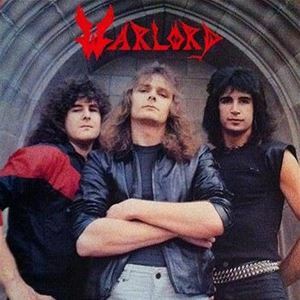 6) Warlord is a British RAC band featuring former Skrewdriver guitarist Stigger on vocals. Albums include "Theatre of War" and "Ascension". The style is hard rock/metal.